Warren Amerine Stephens was born on the 18th February 1957, in Little Rock, Arkansas, USA and is a businessman. well known as the CEO, president and chairman of the privately held, independent bank Stephens Inc. Stephens has been active in the above mentioned business since 1979. How much is the net worth of Warren Stephens? It has been reported by authoritative sources that the overall size of his wealth is as much as $3 billion, as of the data presented at the end of 2016. 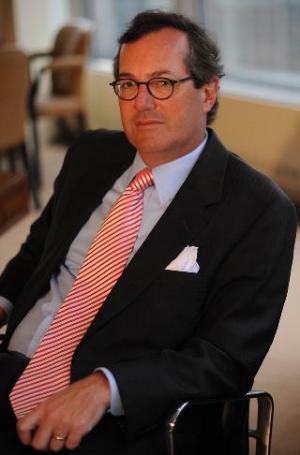 Investment business is the main source of Stephens‘ net worth. To begin with, he was raised in Little Rock by his parents: mother, Mary Amerine Stephens and father, Jackson T. Stephens, who was an investor and partner of Stephens Inc. Warren was educated at the Trinity Presbyterian High School in Montgomery, Alabama. Later, he enrolled at Washington and Lee University from which he graduated with a Bachelor‘s degree majoring in Economics. Afterwards, he graduated from Wake Forest University earning an MBA degree. Concerning his professional career, after graduation Warren was employed in the business of investment banking company Stephens Inc., which was a family business held by his uncle and father. At that time the company had around 140 employees. Initially, Warren Stephens was appointed to work in the corporate finance department in the position of associate with responsibilities to concentrate on gas and oil investment and support. In 1983, he was promoted to the head of the corporate finance department after which he concentrated on acquisitions and mergers. Three years later, Warren became the CEO and president of the full service, privately held investment bank Stephens Inc. In 2006, Warren became the only owner of the Stephens Inc., as he bought all the shares from other family members. The company is the main source of Warren Stephens net worth, which has certainly risen steadily under his stewardship. In addtition to this, Stephen has had other responsibilities and obligations. He served as a senior advisor when the multinational corporation based in Springdale, Arkansas, Tyson Foods, Inc. acquired Holly Farms. Warren also sits on the board of the department store chain Dillards which owns 330 stores based in 28 states, and which also contributes to his net worth. Finally, in the personal life of the businessman, he is married to Harriet and they have three children. However, he keeps his personal life private and does not reveal much else about it. What is more, Warren is known for his philanthropic efforts. He sits on the board of trustees in Washington and Lee University. Moreover, he and his wife supports such organizations as the Arkansas Arts Centre and Episcopal Collegiate School. Furthermore, as Stephens has been criticising the work of former USA presidents Bill Clinton as well as Barack Obama, so he decided to support some Republicans, including the prominent Conservative movement entitled The Stop Trump movement. Warren Stephens as well as his brother Jackson Stephens were the main financial supporters of the above mentioned movement, even though it did not prevent the election of Trump to the position of the president of the USA. Profession Businessman, chairman, president, CEO of Stephens Inc.